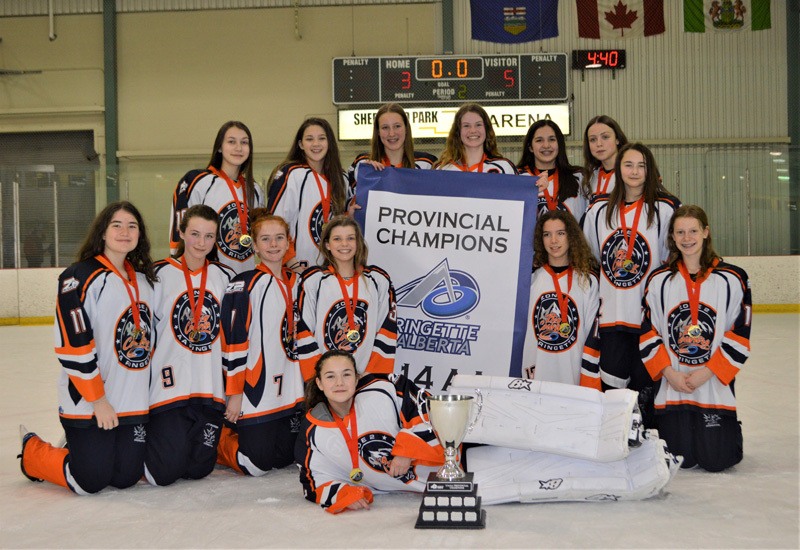 A local athlete helped her team bring home the Zone 2 U14AA Western Canadian Ringette Championship banner after winning the March 27 to March 30 tournament in St. Albert. 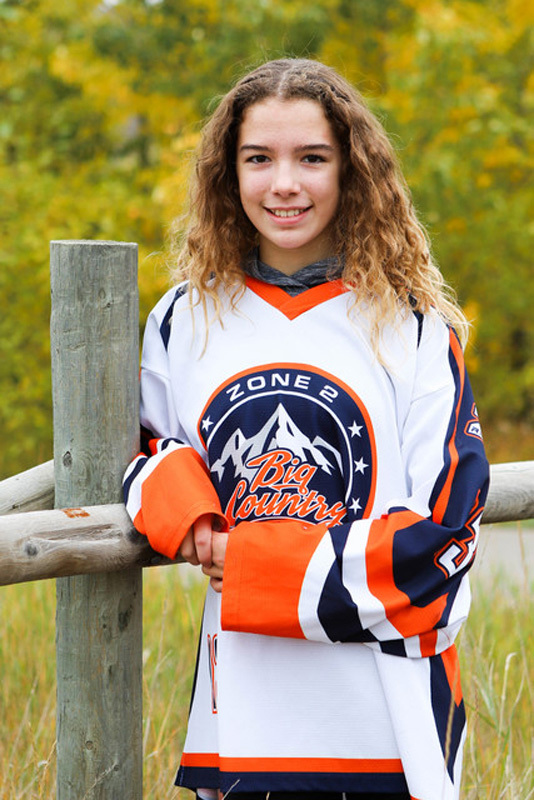 Blaze Centre, Kendra Schwartz said her goal going into the Western Canadian Ringette Championship was not only to win but to have fun and build her team skills. “Positionally I think I played very well, our team together played well, and communicated well. It was great,” Schwartz said. Schwartz and her teammates needed to put many hours of training to ensure they competed to the best of their abilities for the Western Canadian Ringette Championship. The team practices on average two to three times a week in addition to weight and cardio training, Schwartz said. To ensure Schwartz was in the right headspace to compete she would visualize how she wanted to play in her pre play warmups. Although the Blaze excelled during the Western Canadian Ringette Championship, learning that making mistakes during a game was OK was something the entire team needed to overcome throughout the season. “It’s hard to get back after a goal is scored against you, for the next couple of shifts it can make you feel a little bit down,” Schwartz said. Head Coach of the Blaze Laurie Reeve said she is proud of how the team played with heart and kept working hard until the final buzzer sounded. “The team was confident going in, even if they were losing, they just stayed positive and kept going,” Reeve added. Playing with confidence was something the team needed to learn throughout the season. Often the team would worry they were going to lose, rather than playing to win, Reeve said. “We worked on the mental part of our game, all the girls are skilled, but they were worried about losing,” Reeve added. The team began enjoying more success once they started to forget about making mistakes and just work together as a team. “They were always having fun, being a team, and supporting one another which was super awesome,” Reeve said. Although playing ringette can be challenging at times, spending time with Schwartz’s teammates, who are now close friends, makes the hard work well worth it.